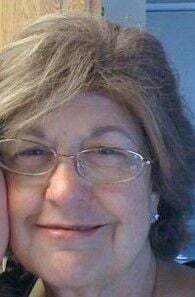 Joanne Fay 78 of Napa passed away suddenly Saturday January 19, 2019. She is proceeded by her husband William Fay and son Kevin Fay. She is survived by her daughter Marie Hayes, her Brother Bruce Fernandez, her grandchildren Heather Nappi, Jacob Fay, Alec Hayes, Troy Hayes, Brett Hayes, Hannah Hayes, and her Great Granddaughter Harper Nappi. She loved to host parties at her home with friends, family and her monthly get together’s with the Pot Luck girls, Christmas was of course her favorite. She loved playing Bingo and card games like Skip-bo. She was creative and loved to stamp and build cards for all special occasions. In recent years she was most happy playing with her great granddaughter. She was the glue that held my family together and will be forever missed. Her Funeral Service will be held Thursday, January 31st 2019 at 11am at St. Apollinaris Parish in Napa, CA.